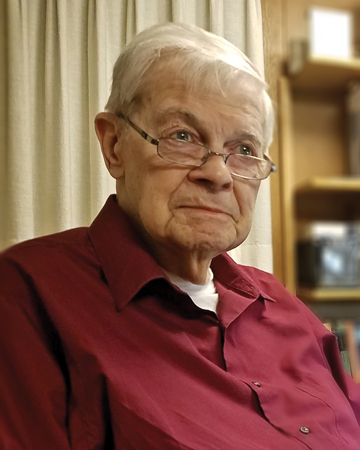 Obituary for Norman P. Lillybeck | Esterdahl Mortuary and Crematory, Ltd.
Norman Paul Lillybeck, 90, of Moline, died Monday, March 25, 2019, at Clarissa C. Cook Hospice, Bettendorf. Visitation will be 4 to 7 p.m. Thursday, March 28, at Esterdahl Mortuary & Crematory, Ltd., Moline. A private graveside service will take place at a later date. Together with the American Foundry Society (AFS), the family has established a scholarship fund for prospective engineering students. The family requests that in lieu of flowers, donations be made to that fund: NPL Scholarship Fund, c/o Deere Employees Credit Union, P.O. Box 339, Moline, IL 61266-0339. Mr. Lillybeck was born July 15, 1928, in Chicago, the son of Eugene and Helen (Lett) Lillybeck. Mr. Lillybeck graduated from Chicago Calumet High School in 1946, attended Ottawa University, Ottawa, Kan., and graduated from the University of Michigan with a B.S. in mechanical engineering in 1954. He married his college sweetheart, Madelynne McHenry, on Jan. 30, 1949. She preceded him in death in 2002 after 53 years of marriage marked with love and devotion. He married Carlene Buller Schold on Sept. 1, 2009, and her compassionate and caring devotion to Mr. Lillybeck during his final years allowed him to preserve a dignity and independence that would not have otherwise occurred. His children cannot express in words their gratitude for that devotion. Mr. Lillybeck was a renowned metallurgical engineer. During his career, he worked for U.S. Steel, Brillion Iron Works, Modern Equipment Company, Sibley Machine, and John Deere, until his retirement in 1993. He remained active in the foundry industry after his retirement and frequently consulted, lectured and delivered papers worldwide, many times without compensation. Mr. Lillybeck was also an inventor, and multiple patents were issued in his name. In 1974, Mr. Lillybeck received the AFS Award of Scientific Merit. In 1993, AFS awarded Mr. Lillybeck its highest technical honor, the John H. Whiting Gold Medal. All told, Mr. Lillybeck's active service and support of the foundry industry spanned 65 years. He loved iron and the foundry from which that iron came. It was his life’s passion. To his children, the intelligence, wisdom and compassion that defined him will leave a void impossible to fill. For them, the world is a now a lonelier place. To his colleagues in the foundry industry, Mr. Lillybeck was known as an "engineer's engineer," and it was once remarked that when it came to metallurgy, it was, "the gospel according to Lillybeck." Mr. Lillybeck was a mentor to countless aspiring foundry men and women, and he gave tirelessly of himself without question or expectation of anything in return. Mr. Lillybeck is survived by his wife, Carlene; daughter, Linda/Shifra C. Fraifeld, Jerusalem, Israel; sons, Eric S. Lillybeck, Little River, Calif., and Steven P. (Susan) Lillybeck, Moline; granddaughter, Allison (Matthew) McClimon, Davenport; great-granddaughter, Margaret Sue McClimon, Davenport; and cousin, Ellis (Karen) Julien, to whom Mr. Lillybeck was as loved as a brother. He was preceded in death by his parents; a brother, Henry Lillybeck; and sisters, Dorothy Pierce, Elaine Lillybeck, and Hazel Shapen.